This machine is a late-model SPARCstation 5, using the 170MHz TurboSPARC CPU made by Fujitsu. Earlier revisions of this machine had 70, 85 or 110MHz MicroSPARCs manufactured by Texas Instruments. 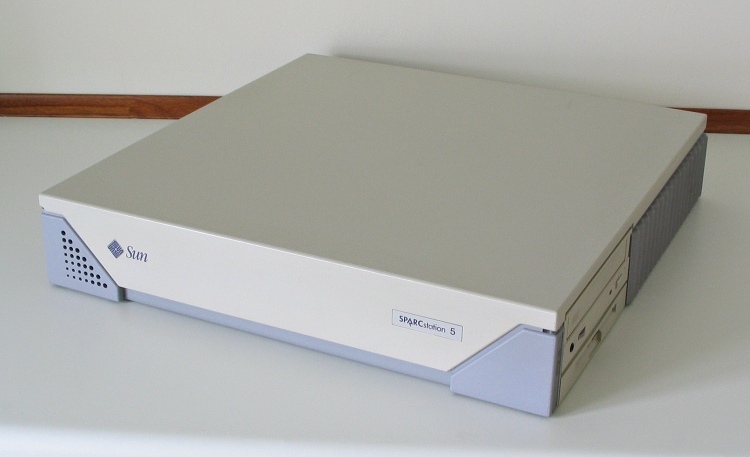 The siblings of the SPARCstation 5 were the multiprocessor-capable SPARCstation 20, and the lower-specced SPARCstation 4. The 5 outlived both of them before eventually being EOLed by Sun in 1998. Actually to tell the truth this machine isn't really a SPARCstation any more - see what I did with it here.